Baltimore County enacted charter government in 1956. In the time since only two Republicans have served as County Executive. None have won an election since Roger Hayden was elected in 1990. After 24 years of Democratic victories, Republicans have the best chance in decades to regain this important post. For conservatives, there is only one choice. Al Redmer has been a fixture in the Baltimore County community for decades. He served as a long-time community activist in the Perry Hall community, where he served as president of the Perry Hall Improvement Association for seven-terms. Redmer has been a small businessman, owning his own insurance company serving Baltimore County. He was a member of the Republican Central Committee, a staffer for the late Congresswoman Helen Bentley, a Delegate to the Republican National Convention. 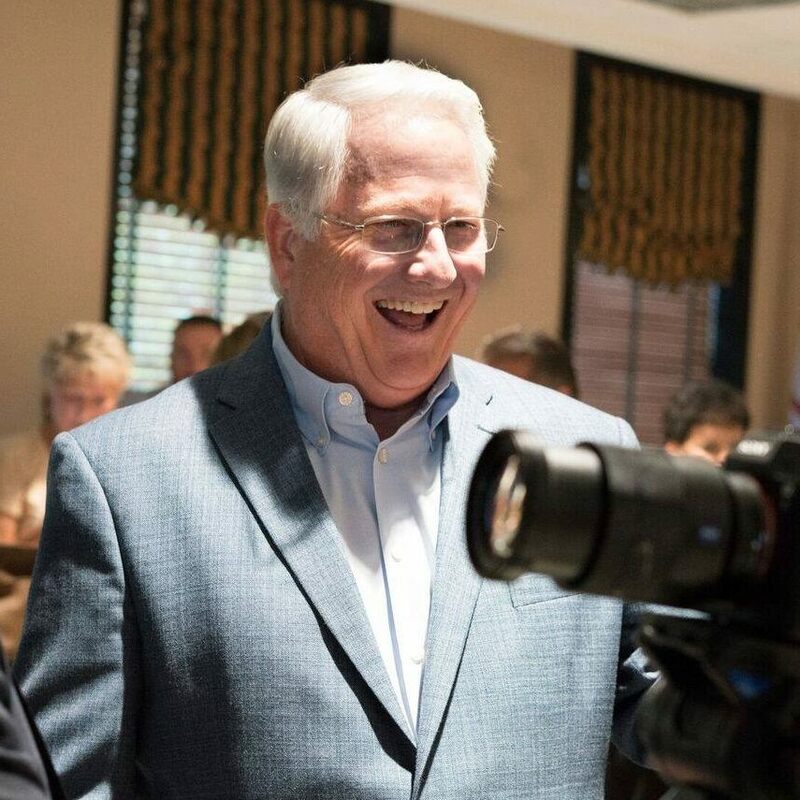 After being elected to four times to the House of Delegates, where he also served as Minority Leader, Redmer has served as the Maryland Insurance Commissioner under two Republican Governors, including Governor Larry Hogan, who has endorsed Redmer in this race. Al Redmer is the only candidate on either side of the aisle that brings executive experience to this race. Redmer’s campaign is also focused on the issues that matter to residents of Baltimore County. After eight years of corrupt and incompetent rule by Kevin Kamenetz, the County needs an Executive who is focused on making Baltimore County a better place. Redmer’s focus on Public Safety, Education, Employment and Job Creation, and Customer Service shows that he is a candidate who understands the nuances of county government and is willing to put forth conservative solutions to achieve those priorities. Redmer is not unopposed. His primary election opponent is Delegate Pat McDonough, no stranger to Republicans or to readers of this site. Pat McDonough is a self-interested, glory-seeking career politician who has served in or ran for various offices as both a Republican and a Democrat for the last 40 years. After being elected to the House of Delegates as a Democrat in 1978, McDonough unsuccessfully challenged Willam Donald Schaefer in the Democratic primary for Mayor of Baltimore. After losing his re-election campaign in 1982, McDonough moved to the County, became a Republican, and unsuccessfully ran for a series of offices (US Senate, Congress, Baltimore County Register of Wills) before finally being returned to the House of Delegates in 2002. Since then, McDonough has been a Delegate with an outsized sense of inflated importance and few if any actual accomplishments. McDonough’s primary course of action in office has been to say outrageous things to try to garner attention from the media. Occasionally, it’s worked. But more often than not McDonough comes off looking like a dope and tarnishes whatever movement or issue he is ostensibly trying to help. As we’ve chronicled in the past, from siding with the Democrats on important issues, attempts to undermine Dan Bongino’s campaign, taking credit for the work of others, to his lavish lifestyle paid for by his campaign donors to his attempts to circumvent campaign finance law or pass self-interested “emergency legislation. Even this week, Pat McDonough sided with left-wing Democrats in supporting corruption in school construction to unelected bureaucrats by joining with the Democrats to override Governor Larry Hogan’s veto. Looking at his record one thing becomes incredibly apparent: Pat McDonough is a doofus. While Baltimore County voters may have a choice between two candidates, the choice is abundantly clear. Only one candidate has the experience, the judgment, and the maturity to serve in this office and win this election. The Editors of Red Maryland enthusiastically endorse Al Redmer for Baltimore County Executive.